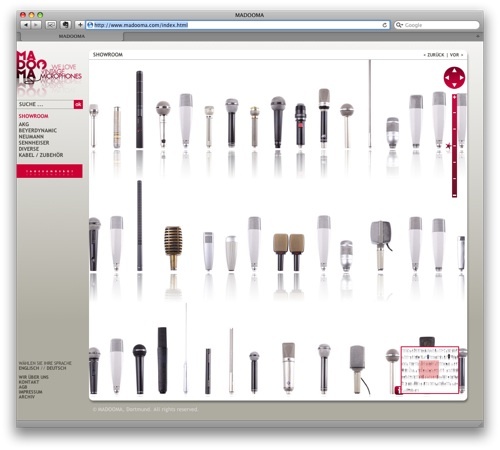 Madooma is a German webshop for vintage microphones – with a very well made website! This entry was posted in Amplifying. Bookmark the permalink.